It is April; and the outdoor Tennis season is fast approaching. We are aiming to open the club the weekend of May 4th weather dependent. The opening round robin and new member orientation is scheduled for May 11th with the new member orientation starting at 11:00am and the Round Robin sign-in at 11:30am. Play will begin at 12:00 noon. Over the next few weeks we will be communicating the summer events schedule and any opening date adjustments due to weather. The Board continues to plan and work toward the 2019 season where we hope to capitalize on the great work that has been done in past seasons. We’ve had some Board member changes over the winter. David Midanik has rejoined the Board as Secretary and Vice President. Chris Macfarlane has also returned to the Board as Treasurer. We thank Frank Sabetti and Peter Gonda for the value they provided while on the Board. With a great deal of excitement Cottingham has been granted a place in the Toronto Ladies Tennis League for evening play this season. As the League requires clubs to have lights this remains a trial first season - but we’re hopeful this will be the first of many successful Cottingham seasons. The regular team practices will follow that same schedule with the Ladie's Team using 4 courts on Saturday and the Men’s team using 3 courts on Sunday. The Ladie's evening league matches are on Monday nights, (matches begin May 6) the Ladie's Day league matches are on Wednesday afternoons. The Men’s Team plays on Thursday nights. More details about all Cottingham team schedules will follow as more information becomes available. Finally, when the snow thawed in late March and we could access the clubhouse it was found that the basement had flooded over the winter. The damage is extensive and at this time the basement is unusable. The flooding had come from water seepage through the walls, a long-term deficiency, exacerbated by this winter. We will update the membership with options to remediate the clubhouse while still working on a short-term plan to ensure that we can meet the member's needs throughout this tennis season. As always please feel free to reach out to any of the Board members with any questions. Here’s to a great 2019 tennis season! Well here we are in September and the season is starting to wind down. The club tournament is in full swing and I encourage everyone to come out and enjoy our finals day on Sunday September 23rd starting at 9 am. There will be lots of great tennis to watch followed by our last barbecue of the season. This is scheduled for Tuesday October 30th so please mark your calendars and plan on attending. The exact time and place will be announced later. Proposed new By Laws will be one of the most important agenda items. A special committee consisting of Susan Wallace, Mark Early, David Midanik and myself has been hard at work to bring our current by laws into compliance with the new corporations act and to enshrine a new openness between the Board and membership. A special word of thanks to Susan who has done an unbelievable amount of work on the project. By law revisions and upgrades are periodically necessary, and at best it’s a tedious and time consuming undertaking. Please note that there will be a full package of materials, including the recommendations of the nominating committee and the proposed by law changes sent out to all of you no later than October 9th. Weather permitting we will keep the club open until Sunday October 28th. There has been a suggestion that Cottingham place a team in the Toronto Ladies Evening League. Before making such a commitment we need to ascertain if there is interest. Please reach out to Leslie Wasserman lesliewasserman01@gmail.com if you would like to participate. In closing, please note I have reached the end of my two year tenure as President, a position that I have thoroughly enjoyed. I would like to take this opportunity to thank the Board members for all their hard work on the club’s behalf. It’s been a great pleasure to be associated with so many dedicated volunteers. And of course staffing is critical for Cottingham’s success, and Michael as General Manager and Gary as Director of Tennis have done an excellent job. We are fortunate that both have agreed to remain at Cottingham for the 2019 season. I want to send a special thank you to Jacqueline Gibbons and her dedicated gardening committee which has transformed the Cottingham grounds into such a beautiful space. And of course Shukie Halfon and Mike Wilson for all their volunteer maintenance assistance. Unfortunately due to a family travel commitment made a year ago, I will be unable to attend the AGM. I am confident that it will be a great success and that the new Board that is elected will do an outstanding job going forward. It sure has been a great playing season so far at Cottingham with the weather cooperating for the most part and the courts being in excellent condition. As you are aware we had major work done this spring to improve the court drainage, and overall playability. Our special thanks to Gary, Michael and his attendants for keeping the courts well groomed and maintained. I’m sure everyone will agree that they’re in great shape and a real pleasure to play on. We’ve now had four club events since starting play in early May. The first was the opening round robin and new member welcome on May 12, followed by our Spring Awakening on May 26, the Ladies Round Robin on June 9 and our Canada Day celebration on July 1. All events were well attended and it was great to see the fun play and camaraderie on display. A special thanks to Neil Fowler who is the Board member in charge of events. There’s a great deal of work to ensure success on the event side and Neil does an excellent job. I’m sure that you have all been impressed by how beautiful the Cottingham grounds are this year. Building on a momentum that started in 2017, the Gardening Committee has been tireless in it’s pursuit of improving the exterior aesthetics at the club. Planters, hanging baskets, new trumpet vines at the front entrance, new plantings in the north green space gardens, a brand new shed on the north side, and a new composting structure have been major improvements. None of this would have been possible without the ongoing efforts of our dedicated volunteers on the committee chaired by Jacqueline Gibbons and including Dale Burkett, Gini Baldwin, Phyllis Early, Lisa Fincato, Henry Brenzel, Patricia McElhinney, and Chris Sawicki. As well, Millie Lekich was hard at work in support during Mid-Summer planting on June 25th. A special vote of thanks to Mike Wilson and Shukie Halfon for their ongoing work and of course Michael and his attendants. As per the recommendation at the 2017 AGM, a committee was set up to review our current by-laws. The committee consisting of Susan Wallace, Mark Earley, and David Midanik has been hard at work and will bring forward it’s findings to the Board for input prior to presentation at this year's Annual Meeting. All members will receive the recommendations for any changes well in advance of the meeting. Please feel free to contact me at donhsteele@gmail.com if you have any comments or suggestions. The club will be open for play (weather permitting) on Saturday April 28th starting at 8 in the morning. The official opening round robin and barbecue will take place the following Saturday, May 5 from 11 until 3. The club will now be operating on Monday to Friday from 7 AM to dusk and Saturday and Sunday from 8 AM to dusk. Last fall after closing, a great deal of work was done by our court management company, Court Contractors, to improve both the playability of the courts and the drainage, particularly on the south end. This spring they will be laying 45 tons of new hair-tru in preparation for the season. We expect that the courts will be in terrific shape this year for the enjoyment of all members. We are very fortunate to once again have Gary Ingram back as our Director of Tennis. Gary is without question one of the top teaching pros in the country. He is highly trained and has a wonderful ability to communicate with his students. No matter what your level of play Gary will be of great assistance in helping your game get better. Michael Badali who has worked at the club for the last two years, is the new Club Manager. Michael is experienced, efficient, extremely hard working, and dedicated to the club. Michael’s very capable staff includes Tim Steele Moore, Jeremy Bell and Kasra Ganjavi. There is a full slate of events planned again this season and you'll be able to learn about them soon from our website www.cottinghamtennis.ca, postings at the club and by email. One new program that is planned is a house league. More details will be announced soon. As mentioned earlier the first event will be the opening round robin on Saturday May 5th. If you have not already done so please take the time to respond to the earlier email asking you to vote on whether we should keep our court times at 40 minutes or change the duration to one hour. Voting closes March 31 after which the Board will decide on how to proceed. You will be notified of the outcome before the club opens. We all look forward to an active and fulfilling 2018 tennis season. Please feel free to contact me at donhsteele@gmail.com if you have any questions. There has been discussion over the years regarding the most efficient and effective use of the courts for all members. At the recent AGM a motion was brought forward and approved that this matter should be investigated and a committee should be formed to gauge members views. Accordingly a committee has been struck including Catherine Simpson, Virginia Spence, Henry Brenzel, Don Steele and chaired by Mark Groulx. The committee is investigating members interest in maintaining the 40 minute court times or moving to 60 minute court times. We are not going to propose any suggestions or outline the pros and cons at this time because we want to get an unfiltered response from members as regards their views on the matter. We will then summarize those views and present them to the membership at large and at that time determine what next steps might be taken. Therefore we request your comments pro / con or otherwise regarding the preferred court times to make the best use of our courts and to provide our members the best availability for their usage requirements. Please forward your comments to ctccourttimes@gmail.com. We would appreciate all responses to be delivered by November 26th 2017. A reminder to everyone that the last day of play will be Sunday October 22nd. Court Contractors will be starting their work the next day. There will be a casual post-close get together at The Quail on Yonge Street on Sunday October 22nd from 6pm, everyone and anyone is welcome! This is not a Club-sponsored event but it would be great to see as many of the membership as possible come out to celebrate for one last time this year. FIRST: The Club will have some tree cutting done latter part of October, we suspect. Don will let us know date/s. We need one or two volunteers to be at Club when this starts to take place, so incoming Tree People are thoroughly aware/sensitive about where our new plantings are located. Preferably a person who can talk with Tree People very comfortably! SECONDLY, the 2nd of November, THURSDAY, 1.30-3.30 (rain date 3rd November, Friday) we will have a Bulb Planting ceremony, followed by Leaf and Mulch spreading around all plants. Should take a couple of hours, with several of us. This is crucial for the survival of all precious plants now in place. The work will be followed by Sherry, Coffee and Nibbles (in no particular order,) on Palmerston Avenue (if Clubhouse closed). We are calling all volunteers! I know it sounds far away, but actually November is round the corner! Thanks to all our volunteers and staff for assisting with the smooth running of the Club Tournament and the upcoming gardening work. As always, please email me at donhsteele@gmail.com with any questions/ concerns. Well the current weather can’t be more spectacular as the season starts to wind down. Hopefully everyone will be able to take advantage in the coming weeks. Some current updates for your information. 3. It was decided that the club would open starting at 7 am Monday to Friday and an attendant would be present. The weekend opening of 8 am will remain. 4. Two subcommittees were set up to look into changing the playing times from 40 minute to 60 minute periods, and to review and update our by-laws. More information will be circulated as the committees set about their work. 5. There were other discussion points about the possibility of lights at the club and a winter bubble. The Board will look into both issues. The last day of play will be Sunday October 22. Court Contractors will be starting their work on the 23rd. The club finals were held on Sunday September 17th. Following is the list of winners. Please note that the Ladies A Doubles, Men’s B Singles and Men’s B Doubles finals are still to be played. As most of you are aware we have outstanding competitive players at the club. Listed below are the highlights of their 2017 accomplishments. Just a short reminder that the Annual General Meeting of the club is set for this Tuesday September 19th starting at 7 in the evening. There will be sandwiches available at 6.30 for those who can be there earlier. The address is 360 Bloor Street East, on the north side of Bloor just west of Sherbourne. There is limited underground guest parking (the driveway entrance is at the west end of the building - simply buzz to be admitted) on the first two floors of the garage. Also note that the building is a five minute walk from the Sherbourne subway stop. The meeting is in the condominium party room on the third floor. The agenda and minutes from last year’s meeting are attached to the email that was sent to all members. Please check your email if you would like to view these documents. Please note that the Ladies A Doubles, Men’s B Singles, Men’s B Doubles and the Ladies B Doubles were round robin formats and thus no actual “finals” time has been scheduled. There will be a bar-b-cue starting around noon and we encourage those interested to come out and enjoy the excellent tennis and chance to socialize with your fellow members. This will take place on Tuesday September 19th commencing at 7 PM. The location is 360 Bloor Street East (North side of Bloor just east of Sherbourne), in the condominium’s party facility on the 3rd floor. There is guest underground parking and the Sherbourne subway stop is 5 minutes walk away. Don, Chris, David, Bob, Neil and Verity are in the second year of their 2 year terms. Leslie, Gila and Jan are newly nominated members to the Board and will be elected for two year terms. Leslie has been a member of the club for seven years and previously served on the Board. Gila has been a member for five years and Jan for seven, six of which he has served as the men’s team co-captain. All three individuals are very active playing members at the club and bring a wealth of tennis and business experience and acumen to the Board. Please note that other nominations for the three available positions can be made at the meeting. I would like to thank both Bill Gragnoli and Amanda Levey for their Board participation over the last two years. Amanda has done a fantastic job this year as treasurer, a very demanding and time consuming portfolio. The annual tournament commences Thursday September 7th with the finals day and bar-b-cue taking place on Sunday September 17. There are 10 different categories of play so there should be great opportunity for lots of participation. Please see the website for details if you missed the announcement that was recently sent out. 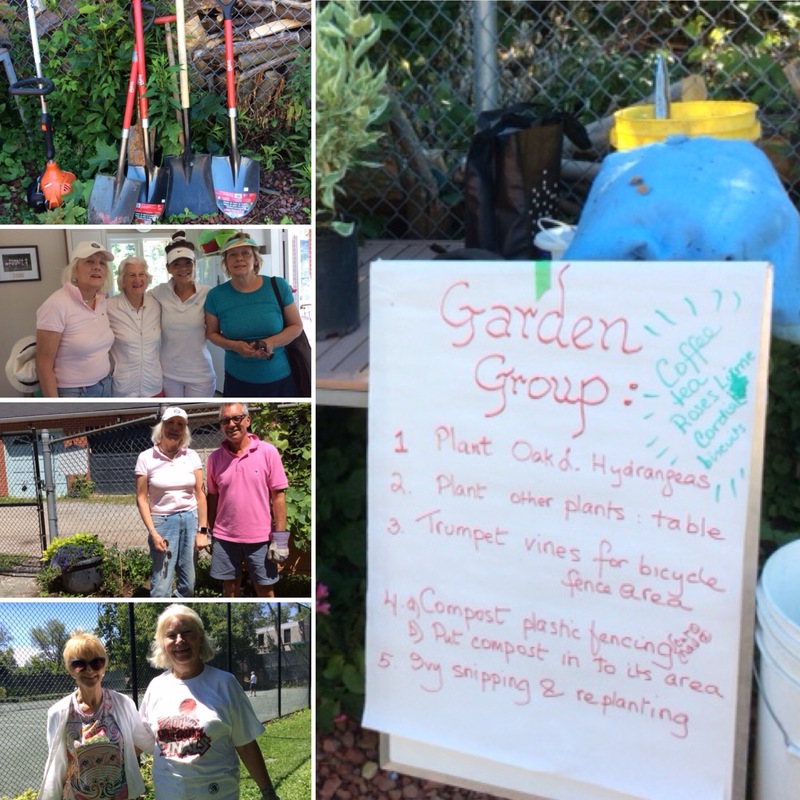 Our gardening committee under the leadership of Jacqueline Gibbons has done a wonderful job in beautifying our grounds. There is a special planting day scheduled for Wednesday Sept. 20th 10.30-2.00; With rain check, Thursday, 21st Sept. same times. Volunteers are needed to help with planting, weeding and fall garden clean up. Please sign up with Antek. The work on refurbishing the courts and putting in a new brick drainage border will commence near the end of October. I will update the final timing in the next month. Please feel free to email me at donhsteele@gmail.com if you have any questions or comments. Once again the time has arrived for our annual year-end Club Championships! The tournament will be running from Thursday September 7th and concluding on our Finals Day Year End BBQ Sunday September 17th. This year we will be offering a grand total of 10 draws to allow many players to participate! Sign up will begin immediately and must be done in person at the clubhouse prior to the end of the day on Monday September 4th. All players will be responsible to have completed any matches prior to their respective semifinals no later than Thursday September 14th. The club will allow players to phone in and book court times for their matches in advance, however please note that we will only allow 3 matches to be played at any one time on the courts, so bookings will be turned down if such is the case. Members who aren't playing in the tournament can call the club to get updates on the match bookings and the status of the courts regarding availability. Semi finals will be played on Friday September 15th and Saturday September 16th and all finals will be showcased throughout the day on Sunday September 17th. We will also be holding our year end BBQ on finals Sunday to celebrate another great season! We look forward to all of you participating and make sure you sign up as soon as you can!! This is the first year we are running this event and the feedback and enthusiasm we have seen from members already is very impressive. Teams will be weighed by handicap, so we require players to sign up in advance in order to give Antek and Gary the time they need to make equitable pairings for a fun competition. Space is very limited. There will be 20 male and 20 female spots, and the women's list is already full. However, we encourage all interested players to sign up (even on the reserves/ sub list) because there is a good chance you could get a call up! You can sign up with the Club in person or by phone, but please be aware that registration closes August 12th. As always, all members of the Club community are encouraged to participate through playing, spectating, volunteering, and joining in on the day for the food and the tennis. Thanks for your support of Cottingham Social Tennis. Well at least we’ve had some sunny days this month, although the amount of rain continues to mystify. On a positive note the rain has been of great benefit to the overall playability of the courts. In checking with other har-tru surfaced clubs, they too have enjoyed the best playing conditions in years. The difference at Cottingham is that we tend to lose more time due to our drainage problems, something that we hope the fall refurbishing will take care of going forward. A special thank you to Gary, Antek and the support staff of Michael, Harris and Zoe for doing such great ongoing work on the courts. On another note, I am sorry to report that Bill Gragnoli has stepped down from the Board for personal reasons. We appreciate all the work that Bill has done on the Board and how he has always conducted himself with the utmost integrity. We know that he will continue to be an interested and active member of the club. Canada Day - We had a unique experience of celebrating a day late as the threat of rain led to moving the event to July 2. There were close to 40 members who enjoyed the round robin and bar-b-cue of roasted corn, salads and peameal bacon sandwiches, a truly Canadian flavour. Our thanks to Neil Fowler and his social committee for doing so much work on this and all the other events that we enjoy. Mixed Handicap Round Robin - This is a new event that is planned to take place on Saturday August 19. It will go from 11 to 3 and we encourage some of the better players in the club to take part. There will be more details forthcoming at the club and pre-registration will be required. All participants, no matter what their calibre will be assigned a handicap and pairings will be on a random basis. There will be prizes for the winners and a bar-b-cue after. Club Tournament - The club tournament is slotted to commence after Labour Day and will end with a Finals Day and bar-b-cue on Sunday September 17. More details will be forthcoming. Garden Committee - I’m sure that all of you have been impressed by how beautiful our gardens and plantings are looking. This is due primarily to the ongoing work of our gardening committee headed by Jacqueline Gibbons. The committee has scheduled a fall planting and transplant day for Wednesday September 20 from 10.30 to 2.00. Volunteers are badly needed and refreshments will be served. Annual General Meeting - This is scheduled for Tuesday September 19 in the evening. Please mark your calendars. More details as to time and place will be circulated in the near future. Opening Hours - Finally please remember that the club is now open at 7am on Tuesdays, Wednesdays and Thursdays in order to give the early risers a chance to play. This will continue until August 31. 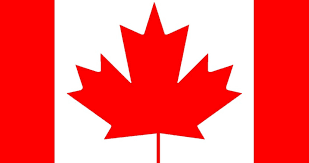 Due to the rain forecast for tomorrow, we will be holding our Canada Day Bash on Sunday July 2nd. The Round Robin event will run from 12noon til 3pm. Food and refreshments provided - please come down to the club for this special event! Just a short reminder also that since school is now out the school paring area is available to Cottingham members from now until the school reopens on September 5th. If we are rained out on Saturday, the event will be moved to SUNDAY JULY 2ND from 12-3. Thanks again to the tireless Social Committee for putting this event together. Please join us for a fun day of tennis! A number of members have requested that the club be open an hour earlier for at least a few days during the week. After deliberation the Board has decided, on an experimental basis, to now be open for play on Tuesdays, Wednesdays and Thursdays starting at 7am commencing on Tuesday June 27 and running through Thursday August 31. This earlier opening will coincide with the end of school and thus access to the school parking lot across the street. Usage will be monitored so that the Board can evaluate and recommend to the membership for 2018 whether or not having the club open during the week starting at 7am justifies the additional cost. The recommendation will be presented and discussed at this year's Annual General Meeting. Well we continue to be plagued with inconsistent weather, although the courts in general are being well used when we get a chance to be out there. Quite a frustrating spring to say the least. We were able to put together another successful event following our official opening. Called “Spring Awakening”, it took place on Sunday May 28th and presented members the opportunity to view the plans for current and future plantings put forward by our gardening committee headed by Jacqueline Gibbons. Members were encouraged to donate a plant, and join us for pastries and punch and round robin play. The event was a great success and something we plan on continuing in future years. Please take the time to enjoy a selection of photos from the day, which are on the Events page of the website (www.cottinghamtennis.ca). Our special thanks to Jacqueline and her excellent committee for all their hard work on the event and so diligently beautifying the Cottingham grounds. Our men’s and ladies teams have now completed a number of matches and so far the results are as follows: The ladies are currently tied for fourth in their A2 division, having defeated Kew Gardens 2-1 and Central Park 2-1 and losing a close match 1-2 to the top ranked Cricket Club. There are two matches to go. The A2 men started the season very well and having defeated York Racquets 3-1, Kew Gardens 3-1 and split with the Cricket Club 2-2 found themselves in first place. They then had an unfortunate loss to the second Kew team 4-0 and have now dropped to third. Please remember that the men practice on Sunday afternoons from 3.30 to 5 on three courts and the women on Monday mornings from 10.30 to noon on two courts. Just a quick update on our dealings with the city concerning our lease and the serving of alcohol at the club during social events. As mentioned in my March newsletter, we sent a letter to the city making the request for the approval of temporary licensing, and we now have a file opened with the leasing and site management department and have had preliminary discussions. There is so far no indication of how they may rule. We also have asked for a meeting concerning our annual lease payments. Our lease was signed in 1989 and currently we pay 10% of gross revenues to the city, a figure that will double to 20% in 2020. David Midanik, Scott Cathcart and I hope to meet with the city on this at some point during the summer with the hope that the annual payments will be reviewed and lowered. On another note, our membership for this year is now filled and we have a current waiting list of close to 200. We are in good financial condition and look forward to getting the courts refurbished this fall. At its May meeting, the Board voted unanimously to give an honorary membership to Pat Gamey who was the manager/pro at Cottingham for over 15 years. We felt strongly that Pat deserved the recognition for all his work over the years to make Cottingham the special place that it continues to be. Remember our upcoming events. We have a women’s round robin on Sunday June 11 from noon to 3pm and our Canada Day round robin and BBQ on Saturday July 1 from noon to 3pm. Please come out and play and socialize. It should be lots of fun. Please do not hesitate to contact me at donhsteele@gmail.com if you have any questions. This event has been well attended in past years and we hope that this year will be no exception. All members are welcome and encouraged to come down to the club to support our great ladies tennis. It was a pleasure to meet you on the Club's opening day last weekend, and I much appreciate this opportunity to send a big "thank you" to all the members who visited or contacted me last September. I was in hospital for a month and have recovered remarkably well from the leg fracture caused by vehicle impact just a few paces from the Club gate. The skills of Mount Sinai surgeons and Bridgepoint physiotherapists were significant. Well we had a fabulous opening day round robin and new member welcome. And of all things the sun actually came out. 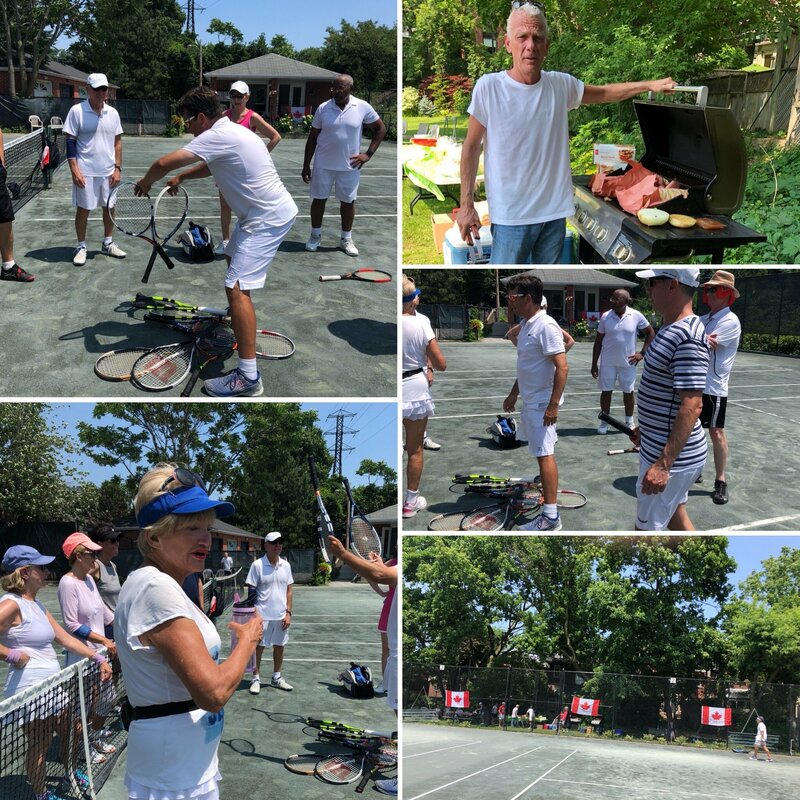 There were approximately 70 who attended, and were treated to some fun tennis and lots of good food. A special thanks to Neil Fowler and the social committee for doing such a great job and to Antek and his assistant Zoe for making sure that the on court activities went so smoothly. It was also enjoyable to see so many lessons taking place as Gary had a full slate of members anxious to improve their games. And a special welcome to all the new members who attended. We look forward to seeing more of you throughout the summer. Our men’s team had its opening match against York Racquets last Thursday and managed to win 3 to 1. The results were as follows: Alex Gravina and Barry Litman won 6-2 6-1 on court 1, Jan Koelmel and Andy Akman Won 6-2 6-1 on court 2, Scott Porter and Chris McFarlane lost 6-2 7-5 on court 3, and Barnaby Kalan and Ely Schwartz won 6-1 6-1 on court 4. There will be a tough match this Thursday against Kew Gardens starting at 6.30. The men’s home schedule was posted earlier and there is one change where the June 1 match will now be away. Please note that the men’s team practices on Sunday from 3:30 until 5 and uses three courts during that time. The women’s team is gearing up and will be having their first home game on Wednesday the 24th of May commencing at 10:30. Their practice time takes place on Mondays from 10:30 until noon and uses two courts. I encourage you to come out and support our teams and watch some outstanding tennis. The windscreens on the south end of the courts will be put up in early to mid June. Because the windscreens form a sun block until the sun is higher in the sky we have to wait to install them in order for the south end drying to be more efficient. That’s all for now. Hopefully we are in for a bout of good weather and can fully enjoy playing. Listed below are both the men’s and ladies home team match schedules for this year. When the men are playing at home, 4 courts are reserved, commencing at 6.30pm for as long as the match lasts (until dusk). For the women's team, 3 courts are reserved, commencing at 10am and ending at approximately noon. Please come out and support our teams as the tennis is excellent and fun to watch. Good news! The Club will be open on Wednesday 10th May! Thank you for your patience while we waited for the weather and prepared the courts. After meeting with Court Contractors this afternoon and seeing the very disappointing weather forecast for the next three days we have decided to delay opening the courts until at least Wednesday of next week. We need two good drying days for courts one to four and longer for court five. Adding somewhat to the problem is that the ground around the courts is completely saturated. The forecast for next week looks a bit better but not great. Anyway it sure has been a frustrating spring. I know this is disappointing news but it is very much out of our control. It sure will be fun when we all are finally able to play. The official opening BBQ event and new member welcome will stay as scheduled for Saturday May 13th. In case it rains that day we will have the opening on Sunday the 14th. Please visit the website for details. Well we continue to be plagued by bad weather. At this point courts 1 to 5 have been graded, and new har-tru put down. The new lines are down on courts 1 to 4. Unfortunately court 5 is still too wet for the lines to be laid. Once the courts dry out a final and necessary rolling with Court Contractors' large machine will take place. We have also put in new post settings between courts 4 and 5 and the major posts for the court divider have been set. Protective coverings for those posts are on order. We are still planning to have the courts open by this coming Saturday May 6, although court 5 may still present problems as it remains the slowest to dry. However the opening is totally dependent on the weather conditions, so we need some warm and sunny days. I’ll give everyone an update later in the week. I know how frustrating this is for us all. **New Members** Please join us for an orientation at 11am, where we can introduce you to the Club Manager, Tennis Pro, and Board Members, and explain the court booking procedures, leagues, lessons and clinics, peak periods, upcoming events, and Club Rules. Many thanks to the Social Committee for putting this event together. We hope to see everyone there to join in the fun and get the 2017 season off to a great start! As all of you are aware the weather has not cooperated this spring and as a result the Board has made the decision to delay the opening of the courts for one week until Saturday May 6th. The company doing the court preparation (Court Contractors) started work this past Tuesday by scarifying (breaking up the Har-Tru) but even then was limited in their progress due to the wetness of the courts, particularly at the south end. The rain that we’ve had since has forced them to stop work and wait until we have some good, sunny drying days. I know that this is disappointing news as we all are anxious to start playing and enjoying the club. However, there is nothing that can be done at this point except for the weather to turn. If it is possible to open earlier than the 6th, I will let you know by email. In the interim the Board appreciates your patience. Saul Schacht passed away on April 15th, 2017. On behalf of The Cottingham Tennis Club, we would like to extend our deepest condolences. Saul will be missed by all of us at Cottingham. Well, the date is fast approaching when we'll once again be on the courts. The club will open on Saturday April 29th and we certainly hope that the weather cooperates and we'll be able to enjoy our first day of play. One issue that emerges every year is a desire for people to get on the courts as soon as possible, particularly if the weather is good. However, one of the dilemmas is that the courts need a good spring drying period, and to get on too early affects their long term playability. With this in mind and at the recommendation of Court Contractors, who prepare the courts for play each spring, we feel that it is not in the best interest of the club to push the opening to an earlier time slot. I know we're all anxious to get out there but please be patient. On another matter, at the end of last season Gary, our pro, decided that he wanted to be relieved of his club managerial duties in order to concentrate more on the teaching end. The club agreed and after an extensive search, the Board has now hired Antek Jerzy to take over Gary's former role. Antek comes with a great deal of experience having worked at Mayfair, Winston Churchill and Toronto Tennis City. He is very enthusiastic and will be a big asset to the club. We look forward to the combination of him and Gary providing Cottingham with great expertise and a smooth running operation. Please refer to the Staff section on the website for more information on the staff including the assistants to Antek, once they are in place. A special thanks to Neil Fowler, Bob Bregman, Amanda Levey and Bill Gragnoli for their efforts in the hiring process. Speaking of the website we view this as a primary source of our communication with the membership and encourage all of you to visit the site on an ongoing basis for the latest information on activities and programs. Of course, as in the past, information will also be posted at the club. If you have any suggestions for improving the website, please contact Verity Tulloch, our Board member in charge of communication, at info.cottinghamtennisclub@gmail.com. As mentioned in the last newsletter Cottingham has a no alcohol policy in the clubhouse and on the grounds. This is a city ordinance and part of our lease agreement. What we are now trying to resolve is whether or not Cottingham is able to serve alcohol at the club for licensed events, including team matches. Licensing is a provincial matter so the city has to determine if they will waive their no alcohol policy for such licensed occasions. We are currently attempting to get a ruling and will keep you updated. But please remember, outside of any exemption the city may grant, there is no drinking at the club and we expect all the members to abide by this. Our membership renewals this year were very high and the 'membership team' headed by Chris McFarlane did an excellent job, even contacting by phone all those who didn't renew. Our current waiting list is over 150, and these individuals are now being contacted to fill the approximately 30 spots that we have available. Our membership is capped at 285 adults, an appropriate size for our limited number of courts. I am writing today to give an update on some of the issues that your Board - Don Steele, Amanda Levey, Neil Fowler, Bob Bregman, David Midanik, Chris McFarlane, Verity Tulloch and Bill Gragnoli - has been considering since my last correspondence of November 8th. The first and most important relates to our most valuable asset, the courts. Over the past several years these have deteriorated to the point where poor drainage threatens the integrity of their foundation and causes long delays after a heavy rain. The required work includes digging up (scarifying) the courts, adding 45 tons of Har-tru to increase the foundation and ability to absorb water effectively, re-grading the courts by laser to ensure a proper slope for drainage and replacing the current wood border with brick. The cost will be close to $55,000 and can be done in two stages : beginning this fall after the club closes, and finishing the following spring in preparation for the club opening. Har-tru courts require this type of major work every seven to ten years. Cottingham has gone well over twelve and we have now reached the point where delaying the inevitable will make the job more difficult and costly. For 2017 there is also the need to repair one of the net posts on court 5, install netting between courts 4 and 5 for use during lessons to prevent balls rolling on to court 4 and lay new lines on all courts. In terms of the clubhouse and grounds, it is felt that no major work is required at this time but there is need for some ongoing improvements in addition to more routine maintenance, the priorities which will be determined once the club opens. As a first step the Board unanimously agreed that all the aforementioned work is required and must be implemented. In order to secure the necessary funds the Board looked at a number of options. The one that seems most appropriate and was agreed to, is to raise the annual adult membership fee for 2017 from its current $425 to $450, eliminate the “early bird” special, and charge $250 as a one time initiation fee for all new members. There will be no need for a special capital assessment. In doing a three year financial projection, the Board believes that this fee structure will be adequate to cover our financial needs through 2019. We the Board are very excited about doing the work on the courts and providing all the membership with a first class playing facility for 2018. In the interim we will do our best this year to ensure that the courts are at the best playing level possible. Please be aware that we will be sending out our membership renewal forms around the end of January, with a strictly enforced renewal date. This earlier date will enable us to fill any vacancies through our waiting list well in advance of the club opening. Currently there are 115 on the list. Another area of concern for the Board and I know many of the members, has been the consumption of alcohol at the club. Cottingham operates under lease from the city of Toronto, the terms of which strictly prohibit unlicensed alcohol consumption on the premises. Abuse not only puts us in contravention of the lease but also places the club and its members at a severe liability risk. This is something that we as your representatives cannot allow. We ask that everyone understands and does their part to ensure compliance. On behalf of the Board I wish everyone a healthy and prosperous 2017. Please do not hesitate to contact me by email (donhsteele@gmail.com) if you have any questions or concerns.